Every 1000 years the Ruler of Gehenna has to pay for all human race sins getting the most painful blow from the "upper one". 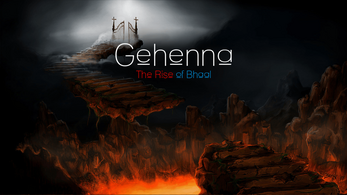 Lucifer, the King of Gehenna, finds a loophole and choose to escape this fate leaving the role of Ruler to Bhaal, his son. Since his power is not so big, in the day of the Judgement, Bhaal could lose his life becoming completely annihilated by the divine power. Helped by his sister Ullene, he will discover his father's masterplan, and he will travel to the Earth and find a way to escape his fate.